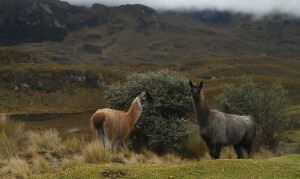 Below is a summary of our recent travel experiences in the Ecuadorian Sierra. We spent nearly three weeks traveling in Ecuador’s mountain region with both family and friends in December and January. It started off as a 10 day event in early January with some friends visiting from the US. But then Tom’s brother came in for a visit in December so we decided to do a family trip to Cuenca for Christmas followed by some other sightseeing to show him more of Ecuador. 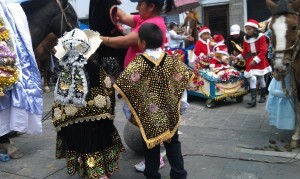 We started by driving from Crucita to Cuenca which we broke into 2 days for our son Kai’s sanity as well as our own. The drive to Guayaquil was roughly four hours after multiple stops/bathroom breaks. 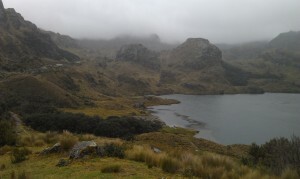 The next day was another 5 or so hours with a spectacular drive through Cajas National Park. Tom’s parents met us in Cuenca and instead of driving, they opted to take the Manta Express to Guayaquil and then from there flew to Cuenca, enjoying their 50% discount on national flights, one of the perks of being a 65+ Ecuadorian resident. In Cuenca, we had enjoyable stay at Hostal Macondo in Old Town. We spent several days there, including over Christmas. 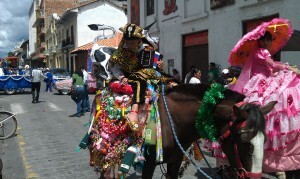 The countless Christmas parades which passed through downtown Cuenca made it a very colorful and entertaining place to be. Cuenca is known for its colorful Christmas parades, often lasting 8 hours or more. We did the typical Cuenca tourist circuit, starting with a city tour from a double decker bus as a means of getting oriented. We also visited a number of colonial churches, the Pumapungo ruins and gardens, spent lots of time walking the downtown area and along the Rio Tomebamba, enjoyed the plethora of dining options, and spent a luxurious evening at the Piedra de Agua hot springs and spa (ok, Tom and I stayed home with a cranky toddler who refused to go to sleep while the others enjoyed the spa!). We also did a day trip to Chordeleg, known for its silver jewelry. We spent another day in Cajas National Park, a place we’d definitely like to explore more in the future. 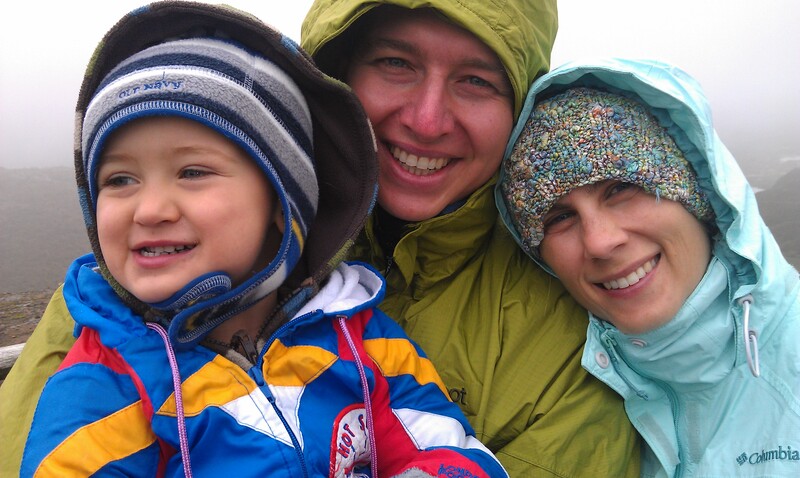 Brrrr…Kai has never worn so much clothing! 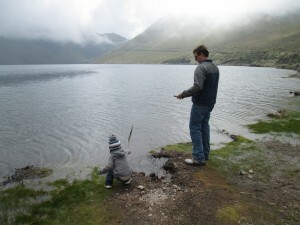 At Tres Cruces pass in Cajas, the westernmost point of the continental divide of South America. Cuenca certainly lived up to its reputation for being an extremely pretty, clean and well-kept city, far exceeding all other large (and small) cities we’ve encountered thus far in Ecuador. 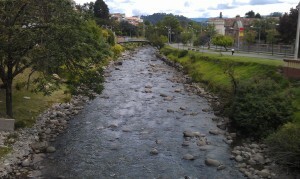 The Rio Tomebamba, one of Cuenca’s four rivers. We were particularly fascinated by the posses of highly efficient street cleaners power washing the streets immediately following each parade. Very impressive, especially coming from a small fishing village! We thoroughly enjoyed Cuenca but the cold, rainy nights and the traffic congestion along the narrow, colonial streets definitely made us appreciative of quiet, warm evenings swinging in hammocks and drinking in the fresh ocean breeze. What can I say? I enjoy visiting the mountains but love living on the beach! Tom’s parents decided to keep heading south towards Loja while Tom, his brother Cruce and I made our way north to stay in Baños. 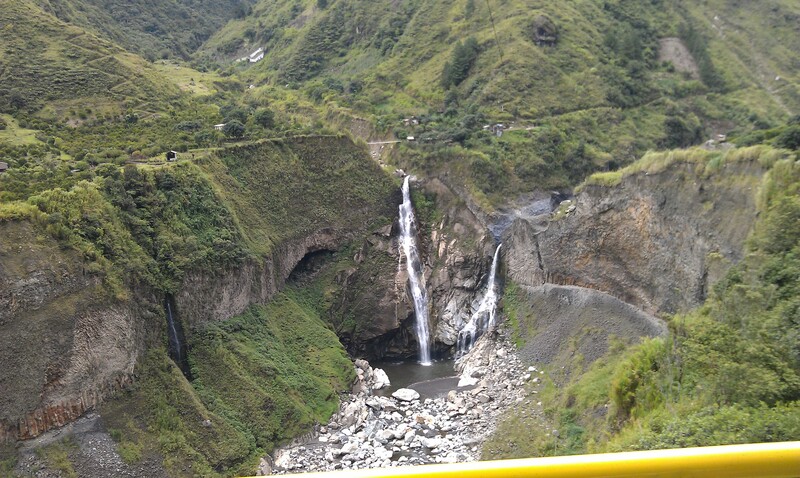 Tom and I have been to Baños many times and thought Cruce would enjoy spending a couple of nights there before returning to Quito and then back to the US. We stayed at the popular Hostal Chimenea, a very nice place, especially considering the price: only $8.50 per person for a room with private bath! From the terrace where inexpensive breakfast options are served, there are 360 degree views of the town and waterfall. 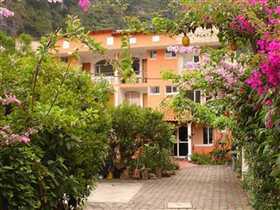 Hostal Chimenea is definitely a great bargain in Banos. 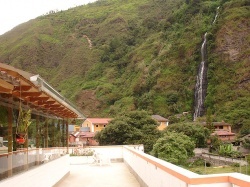 View of the waterfall from the hotel terrace. Baños has LOTS to do packed into a small area and we fit in as much as we could including visiting hot springs, getting [another] massage, crossing beautiful gorges via “tarabitas” (cable cars) and ziplines, visiting the St. Martin zoo, hiking up to miradores to get a bird’s eye view of the town, renting one of the silly go carts that plague the streets of Baños and which we discovered during a 3-point turn did not have reverse, visited one of the children’s parks which Kai loved to death, gorged ourselves on the plethora of international dining options which we sorely miss at times in our small beach town, and drank lots of yummy sugar cane juice. View from our cable car or “tarabita” of a waterfall. 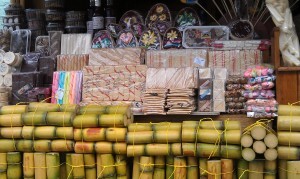 One of many sugar cane stands in Baños selling freshly pressed cane juice and lots of sugary treats. 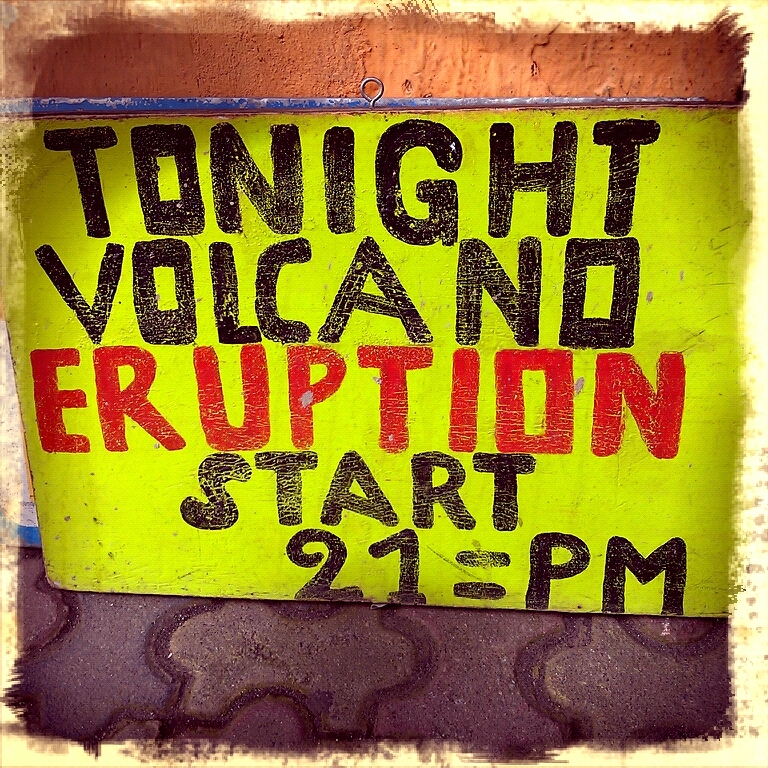 And of course, we drove our truck up the emergency evacuation road one evening in the hopes of seeing Volcano Tuguarahua doing what it does best. Unfortunately, we had thick cloud cover and didn’t see much but a plume of smoke during one fleeting moment. 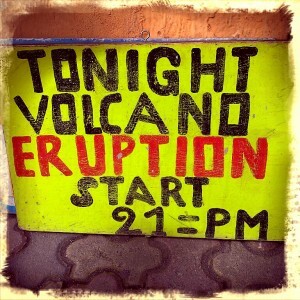 Thrill-seekers pay to see the infamous volcano spewing lava at night. While in Quito we often stay at Posada del Maple Bed and Breakfast which by the way if you mention you learned about them from our website you’ll [*supposedly*] receive a 10% discount on your stay. In Quito we picked up our friends visiting from Duluth, Minnesota. John is Tom’s mountaineering buddy and this year his wife, Becky and 1.5 year old daughter also made the trip. We spent our first day with them going up the teleferico (gondola) and then we drove to one of my favorite places to splurge in Ecuador: Papallacta. 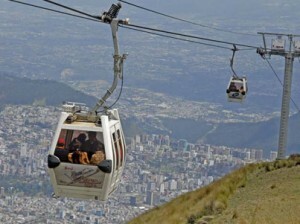 Riding the gondola (“teleferico”) up to 4050 m (13,290 ft) for spectacular views of the city and surrounding volcanoes. Papallacta is a small, high altitude village about 2 1/2 hours southeast from Quito and less than 40 miles from the new Quito airport. 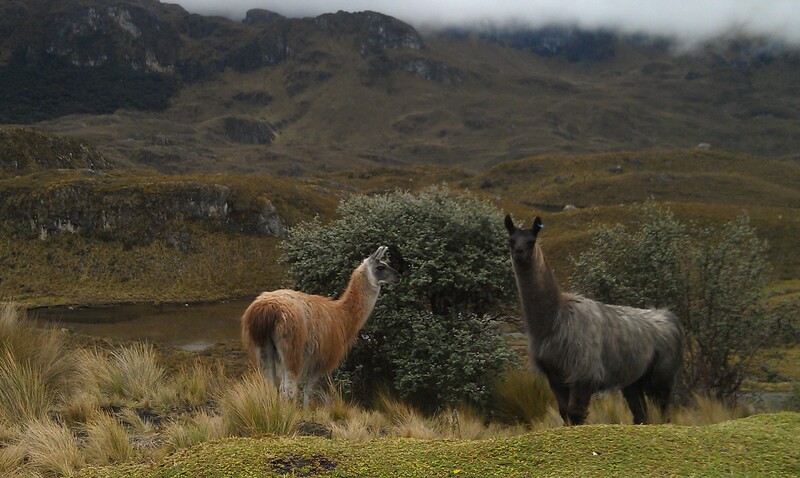 It is located at an elevation of 3300 meters (nearly 11,000 ft) and is situated along the watershed boundary that separates the Ecuadorian Sierra (or mountainous region) from the Oriente (the eastern, rainforest region). 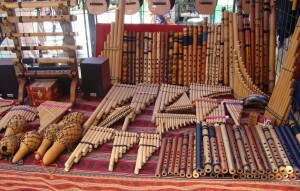 The town has become well-known because of its fabulous hot spring environment. Imagine soaking in a steaming mineral bath surrounded by towering mountains cloaked in cloud forests teeming with orchids and hummingbirds. Um, yeah. Hot spring heaven at Termas de Papallacta. 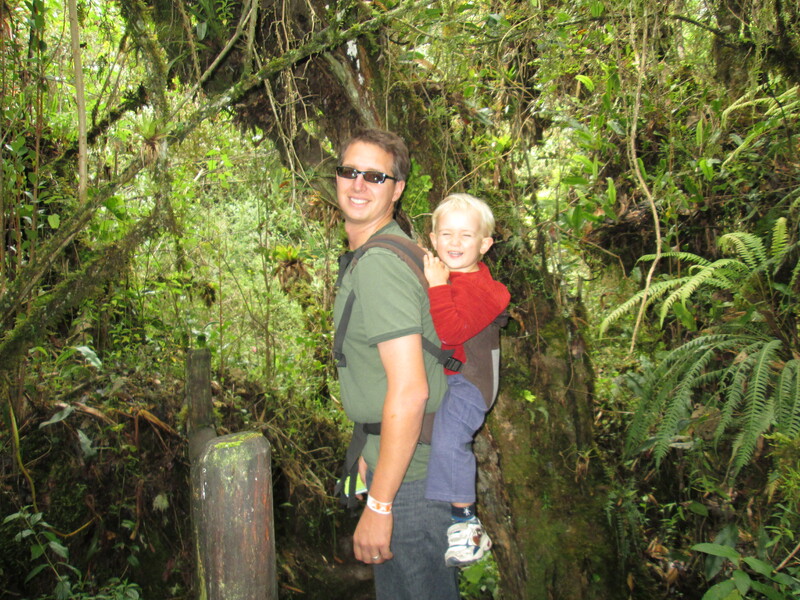 Tom and Kai enjoy a pleasant afternoon hike through cloud forest in Papallacta. 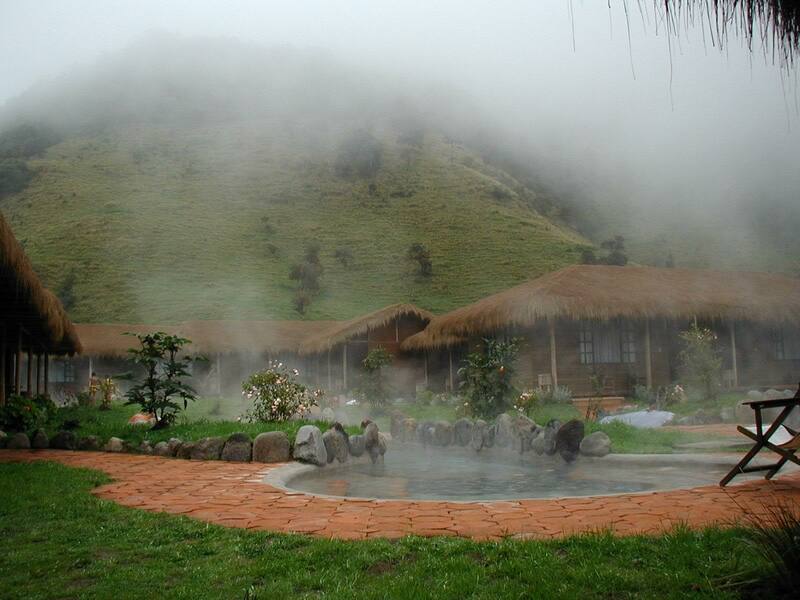 There are multiple hotels in town boasting hot spring pools but honestly, if possible, it is worth the $150 splurge to stay at Termas de Papallacta which has lovely guest cabins tucked away in gardens that surround semi-private hot spring baths. The resort has a nice (although overpriced) restaurant and full spa. A one-hour, full body massage is $50. The resort also has very nice public hot springs with lots of pools of varying temperatures. This is a nice option for folks who want the atmosphere without the price (only $7.50 pp for an all-day admission). If possible, come mid-week when you are likely to nearly have the place to yourself. From Papallacta we traveled to Cayambe where we stayed at Hacienda Guachala, the oldest hacienda in Ecuador, founded in 1530. 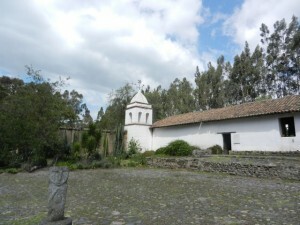 Guachala is the country’s oldest hacienda. While we appreciated the rich colonial history of the hacienda, we honestly were not impressed by the accommodations (~$80/night) which were dark, very musty and reeked of diesel that is used to polish the wood floors )which also stain your socks black). 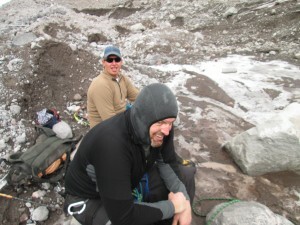 This site was a stopping point for us as it served as the base camp to prep for Tom and John’s climb of Volcan Cayambe (elevation 5790 m or 19,000 ft). Cayambe is the third highest mountain in Ecuador. While the guys were schlepping up nearly 7000 ft of vertical gain in ice and snow during a horrible windstorm, Becky, the kids and I visited tranquil Mindo. 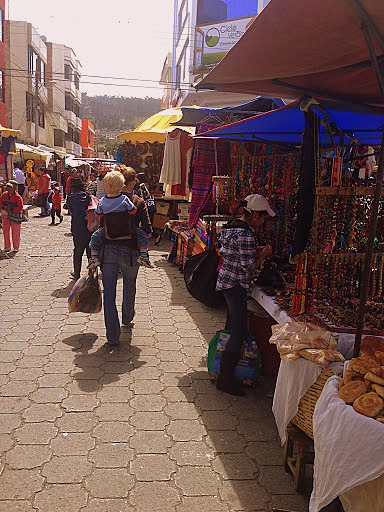 Mindo is a small town of ~3000 residents located in the Andean foothills, about 2 1/2 hours west of Quito. We stayed at Dragonfly Inn which was clean, comfortable and an excellent value ($27 single, $46 double). Kai loved watching the dozens of hummingbirds that swarmed the feeders all day long. 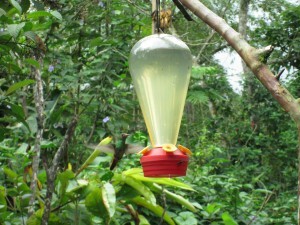 Mindo is a birdwatcher’s paradise with over 450 species, many of which are rare and/or endangered. We also visited the El Quetzal chocolate factory where we participated in a “bean-to-bar” tour to learn about the artisanal process of chocolate-making ($5 pp). These daily tours (usually at 4pm) of course conclude with a sampling of a variety of chocolates, including ginger and spicy chili pepper. Yum. They also serve several homemade microbrews, including a chocolate stout. Kai sampling chocolate at the El Quetzal Chocolate Factory. 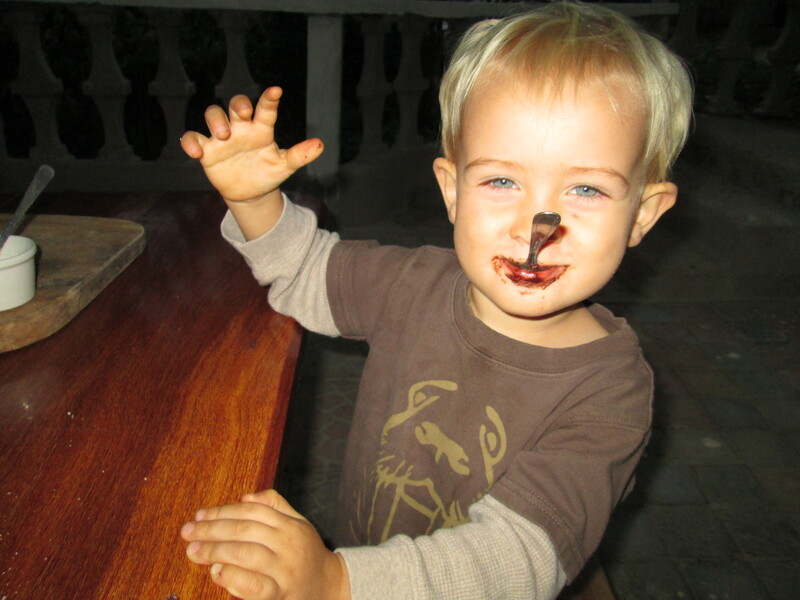 Following our chocolate tour, we checked out Mindo’s famous “frog concert” which takes places nightly at the Mindo Lago Lodge at 6:30pm ($4.50 pp). The “show” is a guided night walk around a restored wetland ecosystem that is brimming with different frog species, as well as other interesting flora and fauna. Kai loved trekking through the forest in the dark, lighting up frogs, crickets, and spiders (and unappreciative tourists) with his flashlight beam. Definitely bring your own flashlight as several people in our tour grumbled about not being able to see where they were walking. The following day we went to the Butterfly Garden where we watched butterflies hatching from their cocoons, fed butterflies from our fingertips. and enjoyed the relaxing atmosphere of the garden where hundreds of butterflies flit from orchid to orchid. 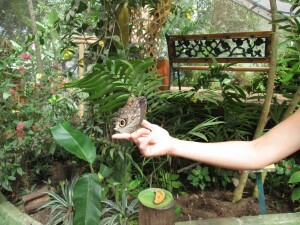 Mindo’s butterfly garden is definitely a must for visiting Mindo. The guys came down from the mountain and somehow had the energy to offer to pick us up in Mindo. Our next stop was to be Otavalo but we made a brief stop at Quisato, a monument with an impressive sundial located exactly on the equator in Cayambe. 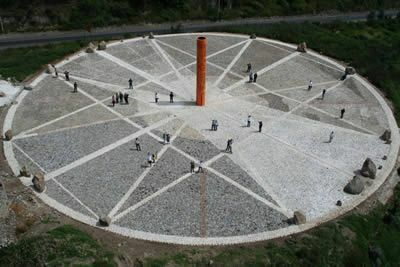 This site should not be confused with the much more celebrated (yet less accurate) “Mitad del Mundo” national landmark outside of Quito. Quisato is a more accurate “Mitad del Mundo” than that of the more popular site outside of Quito. 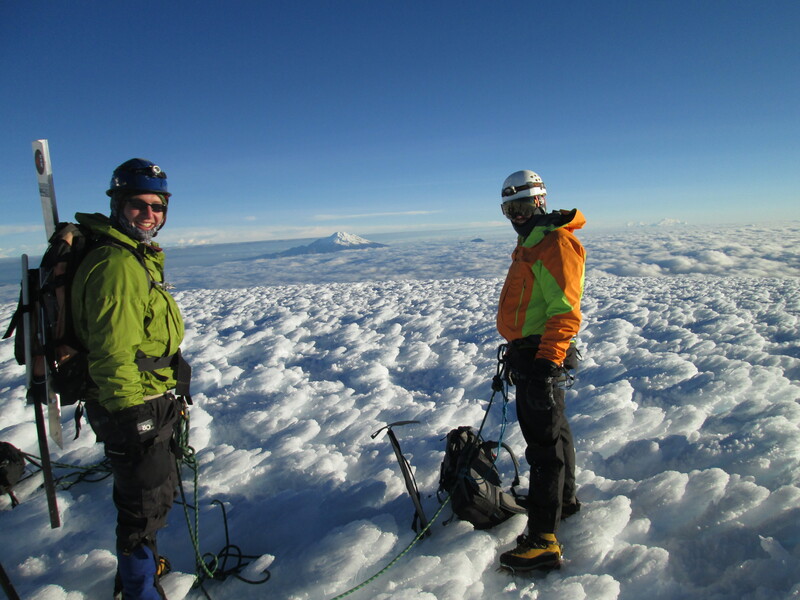 We arrived to Otavalo on a Thursday afternoon so that Tom and John could prep for another mountain; this time their target was Volcan Antisana, Ecuador’s fourth highest mountain at 5700 m (18, 700 ft). 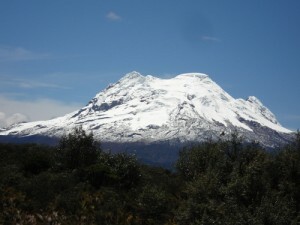 They left Friday afternoon to set up camp to start their arduous climb at midnight to take advantage of the snow staying hard before they descended the following morning to camp. Tom and John on the summit of Volcan Antisana, the fourth highest mountain in Ecuador. 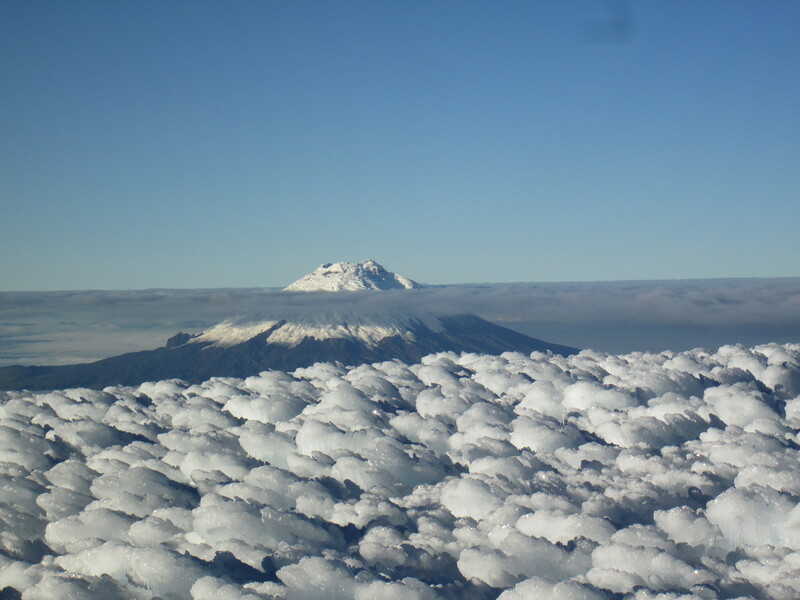 View of Volcan Cotopaxi from the summit of Antisana. Again, while the guys were hard at work, Becky, the kids and I were enjoying the peaceful environment of our mountainside hostal, La Luna. This affordable hostal ($21 pp) is on the outskirts of Otavalo, away from the noise and crowds and with beautiful vistas of the surrounding countryside, including Volcanoes Imbabura and Cotacachi. La Luna has a wonderful family-oriented atmosphere with a good (albeit simple) restaurant, an organic garden (and thus tasty, fresh salads), hammocks, board games, movies, and large, very charismatic dogs. 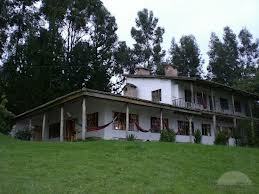 View of the main guest house of La Luna, a wonderful place to stay when visiting the market in Otavalo. 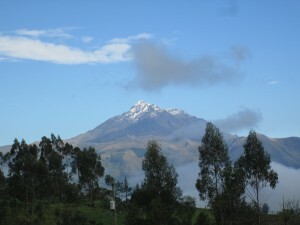 View of Volcan Cotacachi from our hotel in Otavalo. 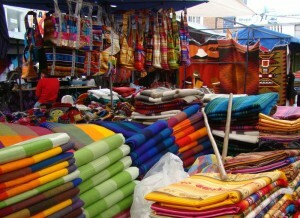 On Saturday morning, Becky and I went to Otavalo’s open air market, one of the largest in South America. 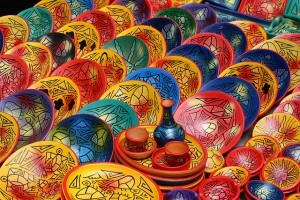 Here you’ll find an inordinate and mind-numbing collection of trinkets, textiles, paintings, ceramics, woodwork, etc. etc. from all over the country. 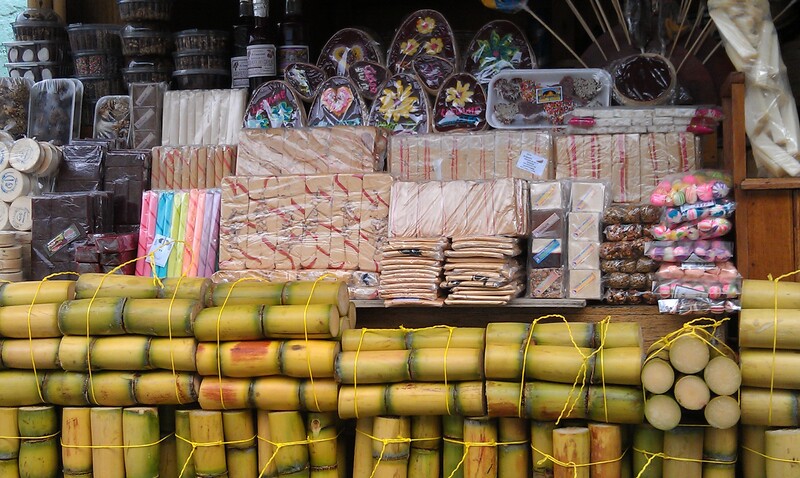 Saturdays are the busiest days, followed by Wednesdays but the market itself is open daily. Try to arrive early (before 9am) before all the tourist buses arrive and the prices go up. As in all Latin American markets, the vendors expect you to bargain and name their initial prices accordingly. 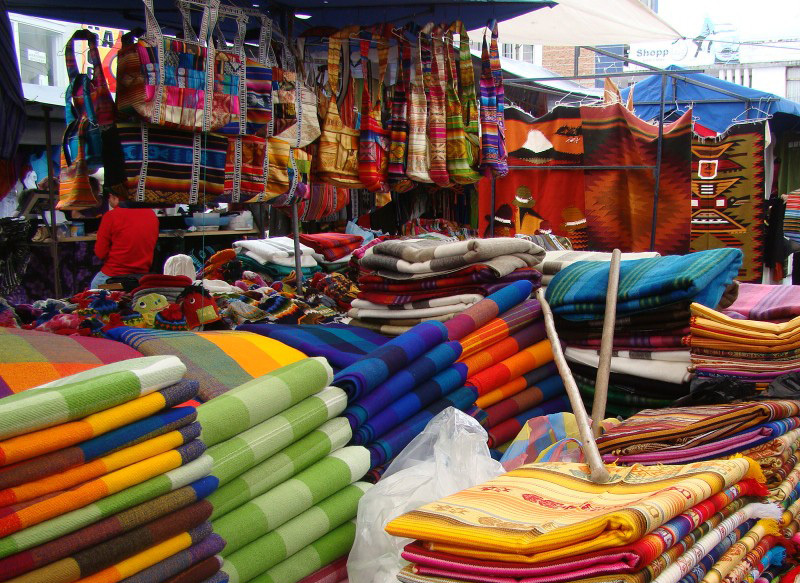 The Otavalo market is an almost dizzying experience that saturates all five senses. 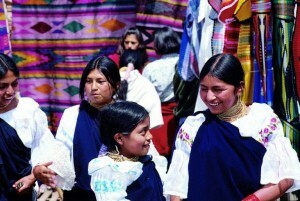 Many Otavaleños have maintained much of their indigenous culture, including their native dress. Kai and I peruse the colorful handicrafts in Otavalo. The following day we visited Lagunas de Mojanda, three beautiful alpine lakes surrounded by volcanoes. Here we hung out and tried our luck with fishing from a hand reel. Prepping the fishing line using freshly caught grubs. 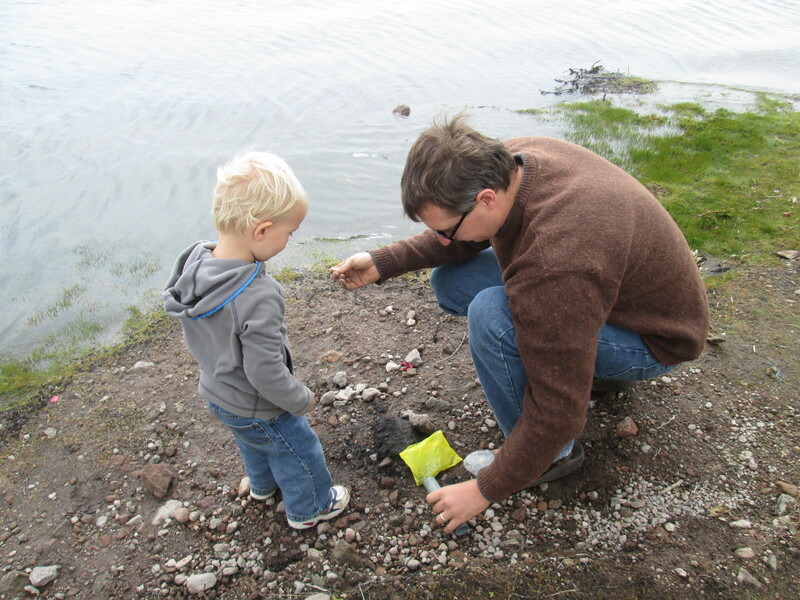 No luck with the fishing but we had a nice time nonetheless. Well, that concludes our travelogue. We had a great time sharing this beautiful country with friends and family but were nevertheless very glad to get home to peel off the layers of winter wear and to jump into the warm ocean! Even though Ecuador is a small country (smaller than the state of Nevada!) it nevertheless seems so immense because of the richness and diversity of wonderful places to visit.